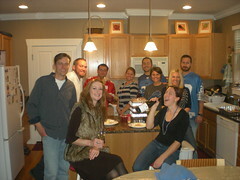 We hosted the Detroit Lions Fanclub to come over and watch the traditional Thanksgiving football game in our basement. Since our Anniversary happened to coincide with Thanksgiving (& Football), I decided to call it our Manniversary! Everybody hung out to watch the Lions lose to the Packers (who only ended up losing one game the entire season!) and then feasted. It was a wonderful day. 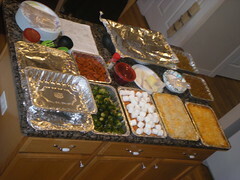 Justin & Crystal brought over copious amounts of food, all cooked family style. It was awesome. In addition, we had two different organic, range fed turkeys; cajun styled and traditional. Two kinds of gravy; full dark and chunky vs. light and smooth. 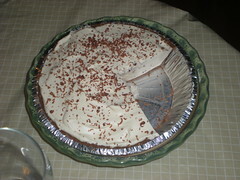 Joan brought two different desserts; Bailey’s Irish Cream Pie and a Chocolate Suicide Mousse. Both were amazing! 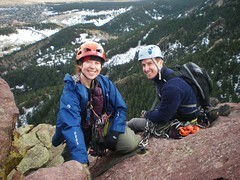 Jeff and I climbed the Third Flatiron on Veteran’s Day. There was one other party climbing with us, but they were nice dudes and so it was okay. 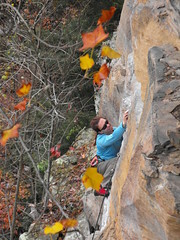 Jeff had never led the East Face route, so he did the evens while I did the odds. It worked out really well. 4:00pm, joined another party for one long rappel. 5:00pm, back to packs (It was dark, so we had to use our headlamps!). The hike back to the packs was treacherous as the trail on the north side of the Flatiron was compressed snow and ice. A few times we slipped, but thankfully we didn’t twist an ankle. Microspikes would have come in really handy! On Saturday, I woke up at 4:45am Eastern Standard time. 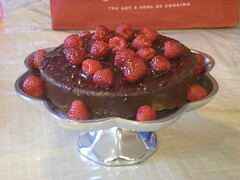 Barry and I ate a simple breakfast while Ann and Jane cooked up eggs & more. At this hour, I just shove food down the hatch and hope it stays down! I can’t eat anything complicated-a little rice or a banana is sufficient. Ann’s other drove us the 30 minutes to the race start, thank goodness! We were all much too groggy & pre-occupied with last minute race preparations. Overall, I was very happy we worked so smoothly as a team. The hurdles we encountered were mostly caused by our lack of experience and I believe we were all very proud that we finished. It is definitely a challenging and serious undertaking to do the Fig! We found out later that one team capsized in the river and became hypothermic, one gal broke her nose when she went over her handle bars, and one team did not finish because they got lost and had to walk back to an aid station-following railroad tracks. Barry did crash his bicycle, but thank goodness he was okay enough to make it the last couple of miles to the finish. He’s one tough dude, that’s for sure! 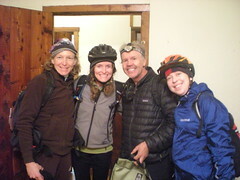 Thanks to my companions: Ann, Jane, and Barry. I will look back at my first Adventure Race with fond memories. Wobbly bacon, the repeated offerings of warm gloves, kayaking advice & help on the river, and the frequent stops to make our “bladders gladder”! What an amazing day! You are currently browsing the climbergirl blog blog archives for November, 2011.